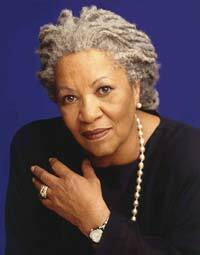 Toni Morrison is a great American editor, novelist and a professor. She is best known for writing novels with a vivid dialogue, epic themes and some richly detailed characters. Some of her best novels include Song of Solomon, Beloved and The Bluest Eye. In 1988, she won the Pulitzer Prize for her novel Beloved and in 1993, she won the Nobel Prize. She received the Presidential Medal of Freedom in 2012 from President Barack Obama. Toni was born on February 18th, 1932 in Lorain, Ohio. She is the second child of Ramah and George Wofford. As a young child, she loved reading; some of her favorite authors included Jane Austen and Leo Tolstoy. Her father was good storyteller and he used to tell her many folktales of the black community. At the age of 12, she received her baptismal name Anthony. The name Anthony became the basis of the nickname Toni. In 1949, Toni joined Howard University. She received her Bachelor of Arts in English in the 1953. In 1955, she got her Master of Arts degree in English from Cornell University. After graduating, she became an English instructor at Texas Southern University. She later returned to Howard to teach English. In 1958, Toni married Harold Morrison who worked at Howard University. They had 2 children but they divorced in 1964. After her divorce, she moved to New York where she worked as an editor. After a while, she also started teaching at Yale University and Bard College. When working as an editor, she played a very important role in bringing black literature into the mainstream, editing books by other authors such as Angela Davis, Henry Dumas and Gayl Jones. Toni Morrison started writing fiction as part of a group of writers and poets at Howard who used to meet and discuss their works. In one of the meetings, she went with a story about a young black girl who longed to have blue eyes. Later, she developed the story as her very first novel called The Bluest Eye in 1970. In 1975, her novel written in 1973 was nominated for National Book Award. Her 3rd novel, Song of Solomon, was nominated in 1977. This novel brought her national attention; it won the National Book Critics Circle Award. Her novel Beloved became a great critical success in 1987. The novel failed to win several awards and a group of 48 black writers and critics protested this. After this, the novel won the American Book Award and Pulitzer Prize for Fiction. In 1996, Toni was awarded Noble Prize in Literature. In 2000, The Bluest Eye was actually chosen as a selection for the Oprah’s Book Club. Apart from her novels, Toni has also co-written some children books with her son. She has also taught English at State University of New York. In 1984, Toni was appointed to Albert Schweitzer chair at University at Albany. From 1989 until she retired in 2006, Toni held the Robert F. Goheen chair in Humanities at Princeton University. In 1979, Barnard College awarded her its highest honor; Barnard Medal of Distinction. In June 2005, Oxford University awarded her a honorary Doctor of Letters Degree.